NOTE: Please note that the Terms and Conditions below apply to all holidays except those in Poland. Please click here for Poland Holiday Terms & Conditions if you are booking a holiday in Poland. To book your holiday please call our friendly team on 0208 123 9477. We will then hold your places on option (subject to availability) for a period of ten working days. Confirmation of your chosen holiday will then be made as long as we receive your correctly completed booking form along with 50% deposit within ten working days. We will be happy to help you with any queries! Single room: Our all-inclusive prices are based on two sharing a twin or double room. If you prefer we can arrange single rooms at a reasonable extra cost. Prices vary depending on your chosen hotel. Children sharing rooms with parents qualify for a discount. Please call the office for details as the discount is variable depending on hotel choice and time of travel. Group discount: Book 20 places and get 20th place free! The group discounts apply only to the basic brochure price: not ancillary costs. Cancellations will effect group reductions- free place loss could apply. Full names must be supplied at least 8 weeks before departure, along with 50% non-refundable deposit. You must organise your own travel insurance. 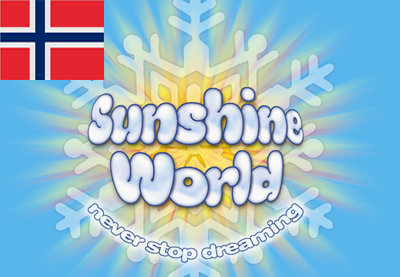 Sunshine World strongly recommends getting insurance for the entire duration of your stay which covers you for cancellation, curtailment and winter sports including mountain rescue and repatriation. 1. Contract. Your contract will be with Sunshine World Holidays LTD, who are responsible for ground arrangements only (unless flights are booked through Sunshine World) and who are committed to a policy of fair-trading. By signing the booking form you will be accepting the terms and conditions for yourself. All members of the group must sign a copy of the booking form. Families need only have the head of the family sign accepting the terms and conditions for themselves and all members of their family. 2. Reservations. Bookings are accepted in writing on our booking form, together with your deposit of 50% of full price. Bookings can be accepted by phone or fax using a payment card or cheque and on the basis your booking form is submitted to Administration and Bookings within three working days. 3. Confirmation and Payment. Within 14 days of receiving your completed, signed booking form and 50% deposit, we will send you confirmation and an invoice with details of your holiday. This should be carefully checked to ensure your requirements are met. It is on despatch of our confirmation of booking and invoice that a contract is made between us incorporating these booking conditions. Your balance is due 10 weeks before departure and no reminder will be sent. If you fail to pay on time, Sunshine World Holidays LTD will be entitled to cancel the booking and cancellation fees will be payable. 4. Alterations to the booking. If you wish to alter the booking after the contract is formed, we will do our best to arrange this. An amendment fee of £30 per person will be made for each detail of the booking changed. 5. Cancellation by you. All changes and cancellations must be made in writing and received at our office before the departure date. All cancellations made more than 14 days before departure are subject to a charge of 50% of the total holiday cost. No refund is available where a cancellation is made less than 14 days before departure date. If your cancellation falls within your insurance policy terms, then the insurance company will refund any such charges to you. 6. Price variations by Sunshine World Holidays LTD. Whilst we reserve the right to change our prices from time to time, your confirmation invoice price will not change. 7. Holiday Insurance. We do make it a condition that you are fully insured before travelling with us. 8. 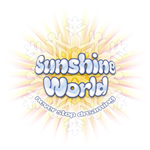 Alterations to your holiday by Sunshine World Holidays LTD. Arrangements to your holiday as described in these Booking Conditions are made many months in advance. We reserve the right to make any such necessary changes. Most will be very minor and we will notify you of any major changes. In the event of a major change you have a choice A) Accept the change. B) Purchase another holiday from us C) cancel your holiday. 9. 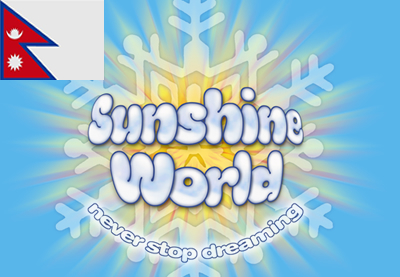 Cancellation by Sunshine World Holidays LTD. We reserve the right in any circumstances to cancel your holiday, and to return all money you have paid to us, or offer you an alternative holiday to purchase. However, in no case will we cancel your holiday less than 8 weeks before departure, except for reasons outside our control including, but not limited to reasons of Force Majeure. 10. Force Majeure. We will not be liable for any failure or delay in performance of the contract if and to the extent that our delay in performance or other failure to perform our obligations under the contract is the result of an event of Force Majeure. For the purposes of this condition, “Force Majeure” means an event or situation beyond the control of Sunshine World Holidays LTD that is not foreseeable, is unavoidable, and its origin is not due to negligence or lack of care on our part. Such events may include, but not be limited to, wars or revolutions, fires, floods, epidemics, quarantine restrictions, and freight embargoes. 11. 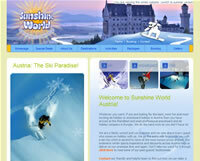 Sunshine World Holidays LTD liability. We accept full responsibility for the act and/ or omissions of our employees and agents, sub-contractors and suppliers where such employees or agents have failed to exercise reasonable care and skill and which acts and/ or omissions directly result in loss or damage. 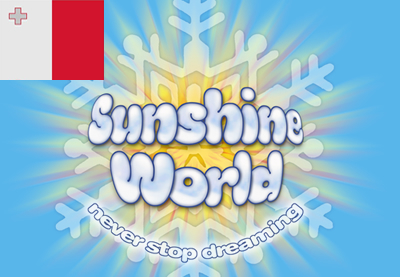 If Sunshine World Holidays LTD commits any breach of its obligations under or arising from the contract it shall not be liable (in contract, tort, statutory duty or otherwise) for any loss suffered by you which is or represents (I) loss of revenue or profit or failure to achieve any benefit expected from matters provided for in the contract (ii) loss which is not the direct and immediate consequence of the breach, (iii) your liability to any third party, or (iv) any loss which is otherwise indirect, commercial, economic, special or consequential. 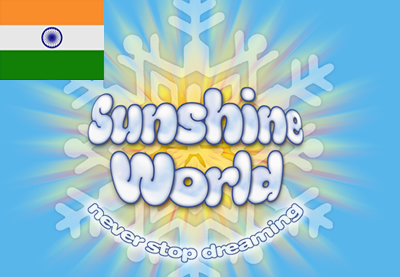 Sunshine World Holidays LTD accepts no responsibility for the acts or omissions of its clients, whether negligent or otherwise, and shall not be held liable for any claims made against our clients either by other clients of Sunshine World Holidays LTD or third parties. Note; the client agrees to co-operate fully with Sunshine World Holidays LTD or our insurers in respect of any legal proceedings which Sunshine World Holidays LTD or our insurers may take against the relevant supplier and/or third party. In the event of personal injury unconnected with arrangements made by Sunshine World Holidays LTD, assistance will be given where appropriate subject to reasonable discretion. 12. 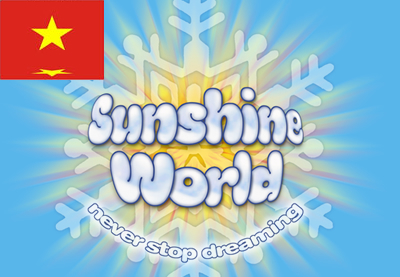 The responsibility of Sunshine World Holidays LTD. The manager, representative and/or supplier at Sunshine World Holidays LTD organises our ski/ snowboard program with your safety in mind. They have complete discretion to vary or cancel our snow sports programmes according to weather conditions and the experience of the group members. 13. If you have a complaint. We do try to ensure your holiday with us is as enjoyable as possible. If you have a complaint please: a) whilst on holiday. Immediately inform the manager, who will try to put things right quickly. B) On your return home. Within 28 days follow up your complaint by writing to our UK office. 14. Brochure Information accuracy. The Booking Conditions have been prepared from advance information. Whilst every care is taken that this information is correct at time of going to press it has to be remembered that facilities may be withdrawn from Sunshine World Holidays LTD and holiday particulars as a result. Whilst every effort is made to ensure that all information is correct, Sunshine World Holidays LTD cannot be held responsible if this should prove inaccurate. 15. Special requests. If you have any special requests that are not covered by the holidays described in our website or these Booking Conditions please let us know. We will try to meet such requests but cannot guarantee to do so. 16. Valid passports or photo ID are required for visitors to most foreign countries. Visas are NOT required for EU citizens to other EU countries but may be required if travelling outside the EU. Other nationals may require a visa and should enquire at the relevant Embassy of the destination country you are travelling to. Most countries require that your passport or National Identity card has at least 6 months validity before its expiry date in order to be granted entry upon arrival. 17. Flights. 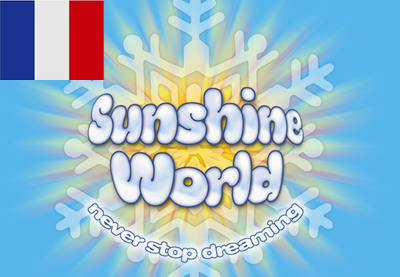 You can choose whether you would like Sunshine World to organise your flights as part of your package at extra cost or to organise your flights and forward your flight details to Sunshine World to help ensure efficient airport transfers where appropriate. 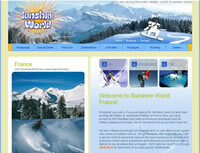 Sunshine World Holidays LTD will assist you in finding suitable flights if you so desire. Sunshine World accepts no responsibility for problems with your flights. All problems or complaints about flights should be dealt with directly with your chosen carrier. 19. 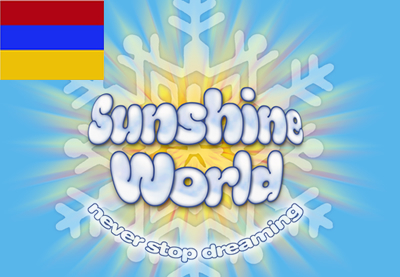 Conditions of Contact: Anyone who sends Sunshine World an email or contact form will be expressing an interest in what we do at Sunshine World and therefore will automatically be added to our e-mailing list. On average mails are sent each month and are informative and have many unique videos and photos with a large amount of effort put in. It is easy to unsubscribe at any time by clicking on the unsubscribe link at the bottom of the email. 20. Law and Jurisdiction. 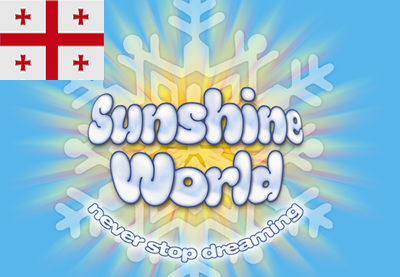 Your contract with Sunshine World Holidays LTD is governed by English law and in the event of any dispute is subject to the exclusive jurisdiction of the English courts.